Proving customer experience-driven revenue benefits is a surmountable challenge. It is a project that involves team members from each level of your team to engage cross functionally and build a comprehensive analysis with many assumptions and commitments in the future. While the doers build financial models, senior leaders need to get buy-in from their peers and put on paper the process and policy changes required for the desired impact of the future employee and customer experience. The first step is to quantify what is the current customer experience. Do you offer any self-service? If you do not, do you expect call volume to go down once you implement self-service channels and products? How much in vouchers and credits are you giving out today to irate customers who had bad customer experience? How much will that number go down if you build intuitive experiences and frictionless customer journeys? To do that you will need data from different systems governed by siloed teams. Once you get all the access you need comes the fun part – structure and connect the discreet data dumps to bring actionable customer insights to life. So arm yourself with patience and start those conversations. Revenue benefits are not the only financial impact of a successful customer experience transformation. Explore cost benefits as well. Redesign of customer interactions with your brand naturally will drive redesign of existing roles and introduction of new tools for employees to deliver seamless experience. These changes will bring cost benefits as well. Quantify the transactions you will eliminate and the value of the new services that the employees will be enabled to offer to customers in future state. This analysis requires “future-thinking” and is valuable both for the design of new customer experiences and the quantification of its benefits. As a bonus, new processes and tools will bring transparency that increases financial controls and reduces cases of fraud. Customer growth is a less linear benefit to prove. To quantify it cross-functional collaboration is key. In her book , Jeanine Bliss lays out a customer experience framework that begins with “managing and honoring your customers as assets.” She urges customer experience leaders who build organizational trust in the value/imperative of customer experience investments to prove the “right to customer-driven growth” by connecting the value of customers to business metrics. Very often senior leaders focus on survey results, which is too myopic. Jeanine Bliss concludes that without the extra cross functional work, customer experience is seen as another cost and “nice to have” bells and whistle, not as a successful growth strategy. How can you persuade your CFO to invest in customer experience? Build the connection between effortless and memorable experiences and customer growth with an actionable CRM (customer information software that informs us of customer characteristics and past interactions with our brand). By actionable CRM I do not mean a database without user interface that you can access from the web. An actionable CRM is accessible, easy to use tool that analyzes previous paths to purchase and the customer’s journeys that you can use as a baseline for the new journeys that you implement for the customer. With those insight in hand you have built the connection between CX and customer growth. Revenue and customer growth are strong arguments for the success of the customer experience business case. However, do not believe those who tell you they are obvious. Clearly, they have never tried to prove the link between customer experience and revenue and customer growth. Instead arm yourself with good analytical resources and build a CRM solution that can feed your business case for the foreseeable future. In other words, build a mechanism to produce real customer insights, not data dumps that nobody understands. 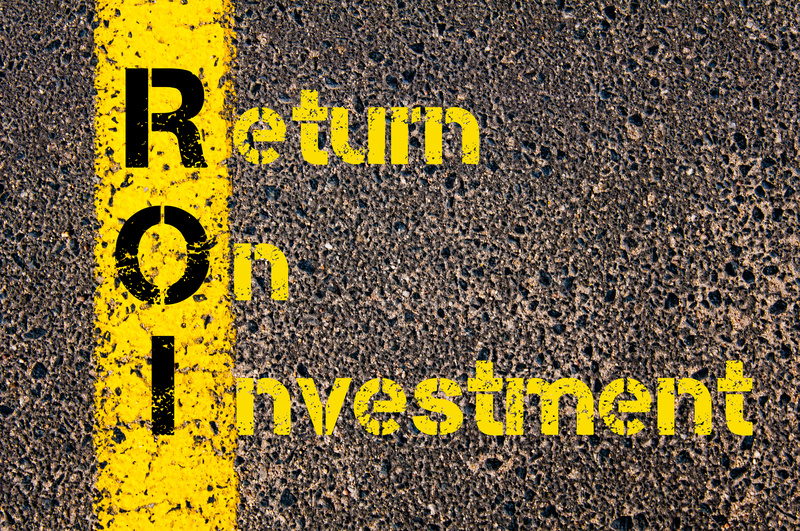 Next month, in part 3 of our Customer Experience ROI series, we will cover how to quantify the positive customer and employee engagement ROI of the customer experience business case. Higher employee engagement drives better retention numbers, lower churn and happier customers. Happier customers spend more money with your brand and drive up ancillary sales. Show me a CFO who does not want both.